EasyFoodstore, the discount grocer brand opened by easyGroup founder Sir Stelios Haji-Ioannou, has closed for business just three days after opening due to high demand. The budget shop, which sells all items for 25p, will remain closed today (4 February) but will reopen on Friday, the group said. EasyFoodstore, operates under the slogan "No expensive brands. Just food honestly priced". 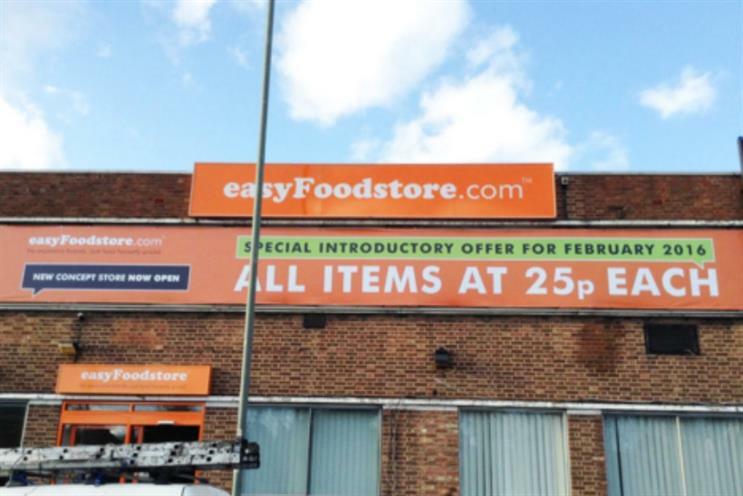 A statement on the easyGroup website explained that the 25p promotion had led to "huge publicity", and said the retail venture had sold out all its stock of food items. "Unfortunately our usual suppliers are unable to meet the demand in order to restock the shop again fully until Friday," the company said. "Thanks for your patience and hope you will come back again soon during February when the promotion is on, always whilst stocks lasts." The Park Royal-based shop opened for business on Monday (1 February), with Haji-Ioannou saying it marked "another way the Easy brand can serve the less well-off" and adding that his experience "distributing food for free in Greece and Cyprus" would serve the venture well. All items are priced at 25p for the entirety of February. Ofgem is investigating a claim that charity Age UK has been marketing more expensive gas and electricity deals in exchange for cash, according to a report in The Sun. The newspaper claims that energy packages that Age UK offered in a partnership with E.On may have been more expensive than the cheapest deals offered by the energy company. The news comes as the UK’s ‘Big Six’ energy companies are facing pressure from a coalition of consumer groups, investors and politicians accusing them of ripping off consumers through over-pricing, at a time when wholesale energy costs are falling. Ofgem has admitted that the biggest companies are "overcharging in many cases". The Sun claims that E.On received £6m from E.On in exchange for carrying the promotion. Age UK has rejected the claims, while E.On said its tariffs were competitively priced. The Sun claimed that Age UK recommended a special rate that would cost pensioners around £1049 a year, which is £245 more expensive than its cheapest rate. It said that Age UK received around £41 a year for every person signed up, which amounted to £6m. Around 152,000 customers signed up to the deal, meaning they are overspending by £37m a year. Ofgem is examining the claim.